Meaning: This word means “whistling of the wind”. When this name was assigned to this month, it was probably a windy time of the year. 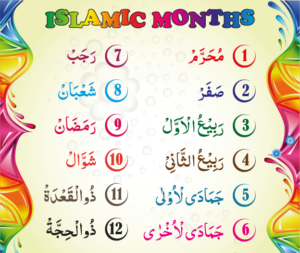 As mentioned earlier, most of the months were named according to weather conditions at the time. However, since they are based on the moon, the months shift about 11 days every year. So, the seasons do not necessarily correspond to the name of the month anymore.